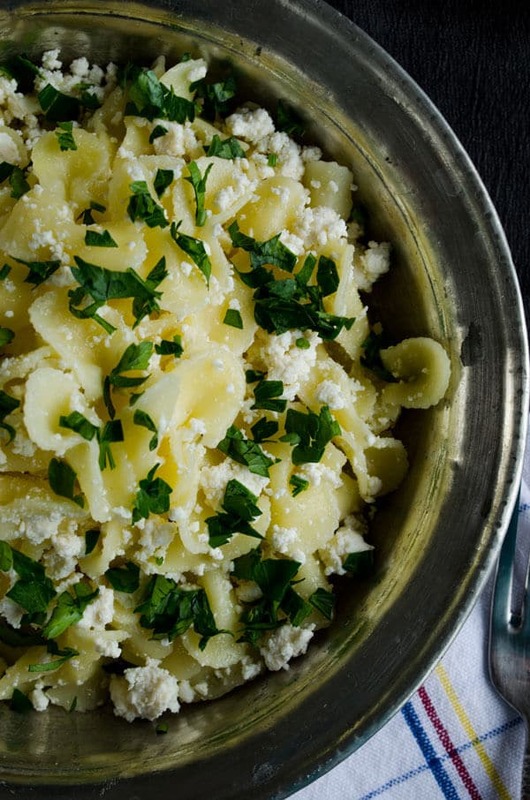 Pasta with Feta and Parsley is a perfect choice for those who are in search for quick, yet tasty dinners! Pasta is a kind of food that has millions of varieties and it’s up to you to make it light or heavy, healthy or unhealthy. Not only can you make a simple pasta with just butter and salt, but you can also make a sophisticated pasta with several additions like chicken, meat, sausages or vegetables and cream. You can add different ingredients every time and it becomes a new dish! What’s more, there are about hundreds of different pasta types from spaghetti to farfalle or cannelloni, which makes this quick food even more special. 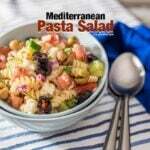 Pasta with feta is one of the simplest pasta dishes, but I guarantee it’s one of the tastiest as well! It becomes quite an elegant dinner when served with Shepherd’s Salad. Would you eat pasta every single day? I would. 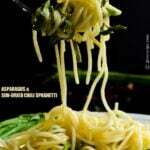 You can use pasta in many dishes. Make a filling main dish with it when you are so hungry, make a pasta salad when you need a side dish to serve with meat or chicken. You can even make pasta soup and serve it at the beginning of your dinner. I love it in any form and I never get bored of it! 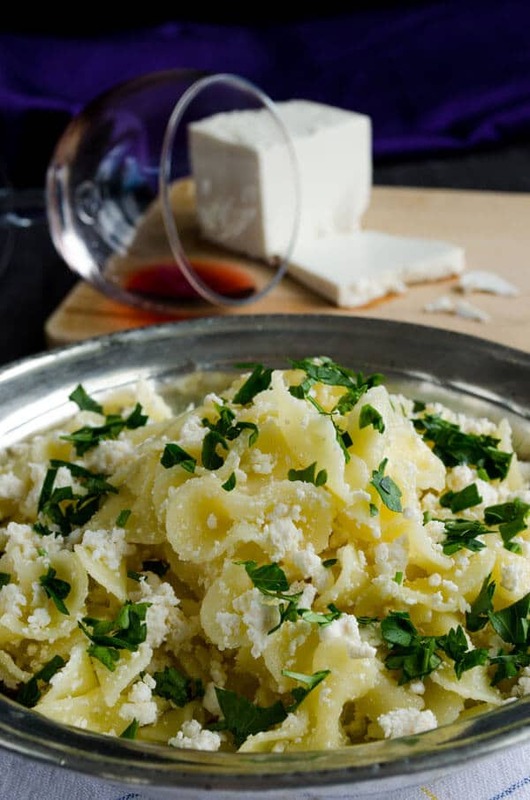 One thing I know about pasta is that it goes amazingly well with feta, so I often combine pasta with feta; even when I add other ingredients into it. I add a little chopped parsley into this pasta since feta and parsley are one of the best couples in cooking. I love them at breakfast, in buns, over pizza. So why not use them together in pasta? So what do you think is the best drink to serve with pasta? It’s unquestionably red wine for me. What do you enjoy having most with a glass of red wine? Cheese? I can eat loads of cheese with wine and a good quality feta would be my first choice when drinking wine. So here comes one of my favorite dinners: Pasta with feta and red wine. A simple dinner with pasta, feta and parsley. Cook pasta according to pakage directions. Melt butter in a skillet. Bring it to medium-low heat. Toss in pasta and drizzle olive oil over it. Throw crumbled feta into it, stir. Add salt and share into dishes. What a delicious and simple dish! Thank you!